LOUISVILLE, Ky. (Tuesday, Sept. 1, 2015) – Churchill Downs Racetrack, one of the world’s most recognized sports venues and home of the Kentucky Derby, has announced an extensive $18 million capital project to modernize the Turf Club and several other premium areas. 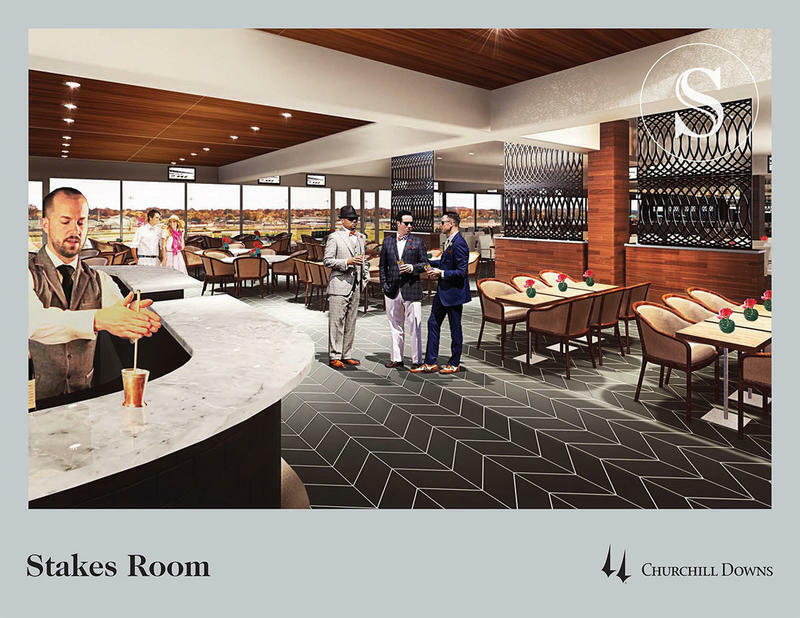 A new and enlarged Stakes Room on the fourth floor of the Clubhouse will combine the current Stakes Room, Aristides Room, Directors’ Room and Turf Club Lounge into a new, spectacular open space paying homage to the rich traditions of Churchill Downs and the Kentucky Derby. The exclusive grand setting of an open and flowing space will be segmented by half-height walls, feature bars and cooking stations. In addition, the current fourth floor balcony will become an innovative covered patio with views stretching from the paddock to the racetrack. The seating for more than 500 guests in these new premium areas will vary between traditional tables and modern booths and banquettes. 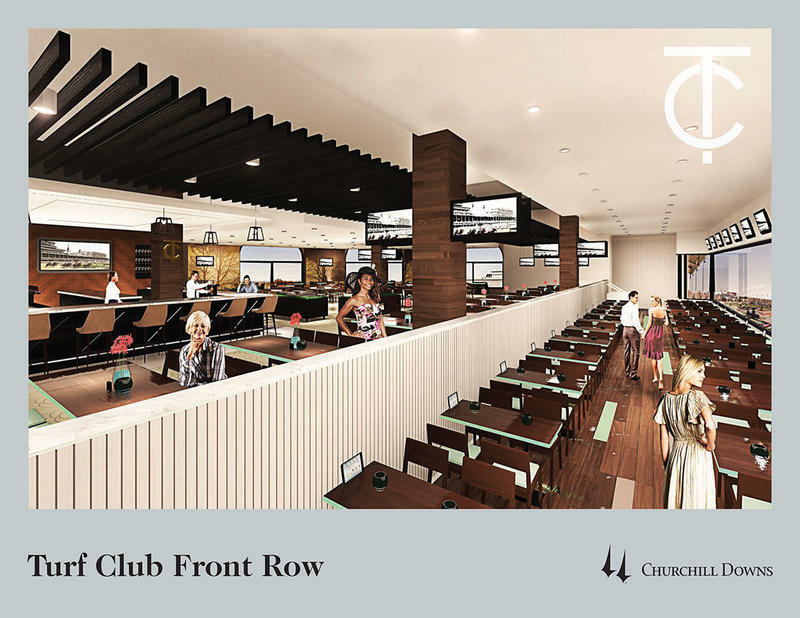 The third floor Turf Club, Matt Winn Dining Room and Indoor Premium Boxes will undergo a facelift to create an updated and more intimate premium area. 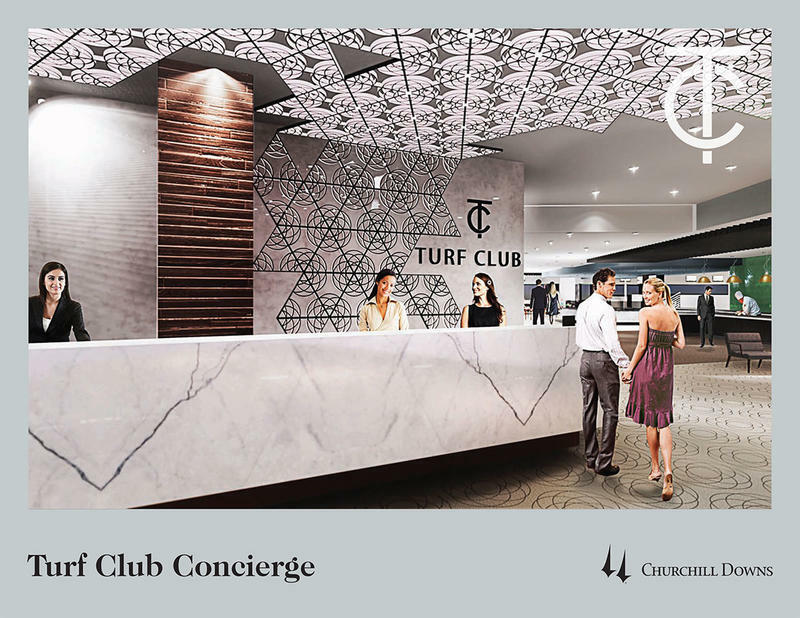 Members of this exclusive 19,500-square-foot space will be treated to numerous detailed décor upgrades, including art installations and other treatments that celebrate the stories and traditions of Churchill Downs and the Kentucky Derby. As guests arrive at the racetrack, they’ll immediately notice reconfigured express entries from Gates 10 and 17 including two exclusive Turf Club Express elevators and enlarged and repositioned arrival and welcome areas. The food and beverage experience also will be greatly enhanced with an enlarged customer-facing U-shaped bar and lounge area. 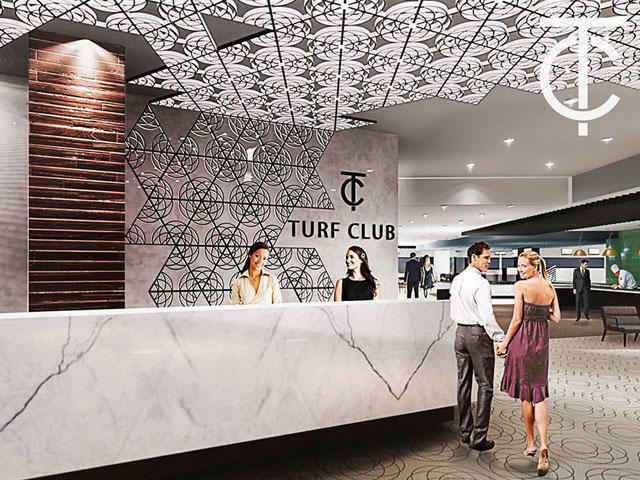 The new Turf Club will be enhanced with a newly-constructed Balcony that will feature booth and table seating beneath a translucent canopy with a spectacular vantage point of pre-race activity in the Paddock. 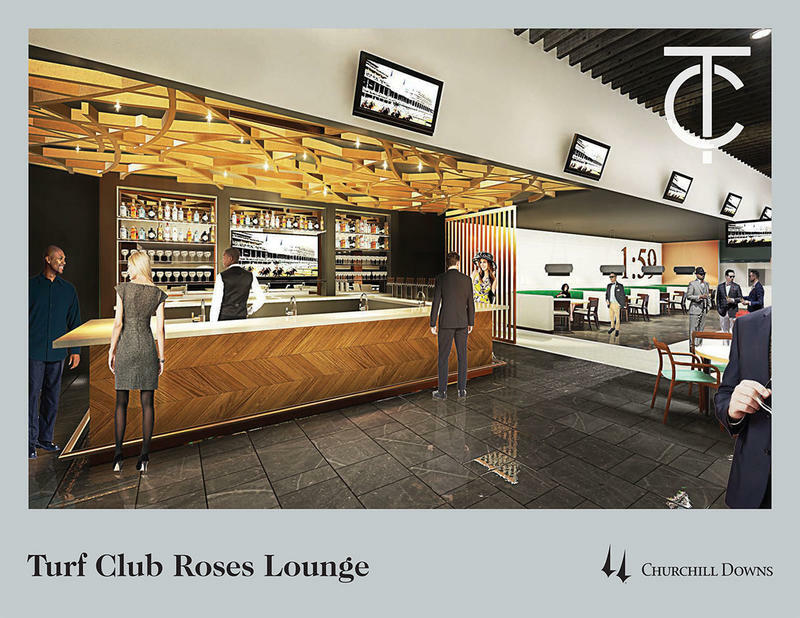 The new Turf Club Roses Lounge will be located on the third floor of the Clubhouse adjacent to the Turf Club in the space previously occupied by the Matt Winn Dining Room. 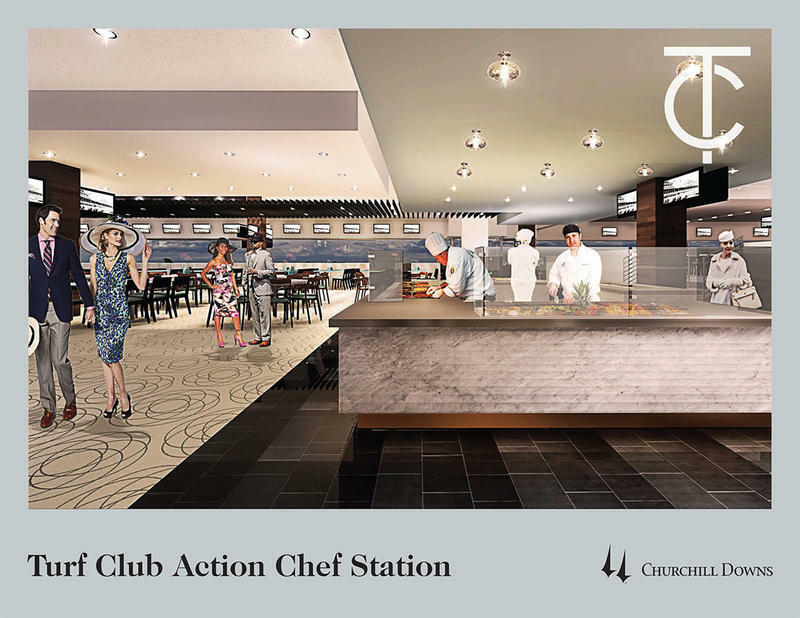 This 4,700-square-feet space will feature a new bar, banquette seating and individual dining tables, including 12 signature banquette tables that honor and tell the story of each Triple Crown winner and a Champions Wall with plaques dedicated to each Kentucky Derby winner. 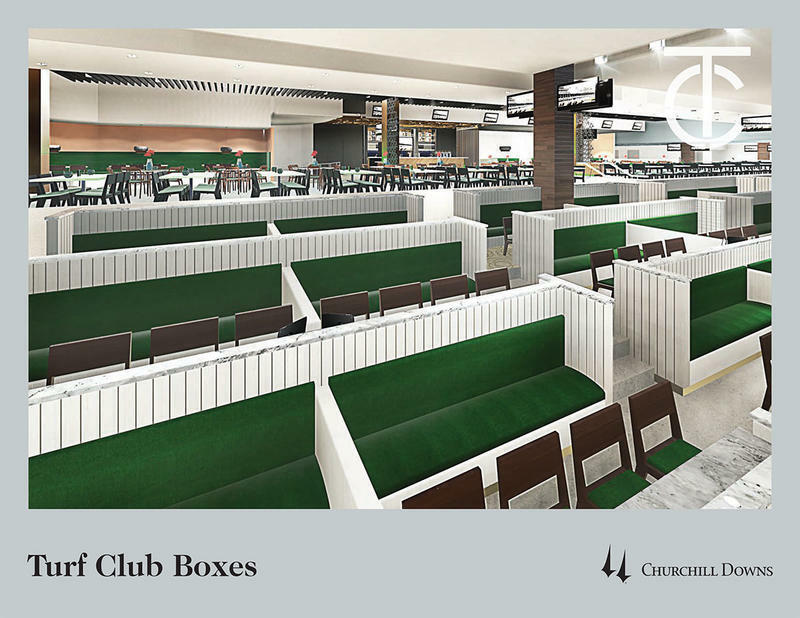 Formerly the Indoor Premium Boxes, the Turf Club Boxes will be remodeled with classic white timber and seating for 6-10 guests – banquette-style upholstered seating in the back and comfortable padded chairs in the front. 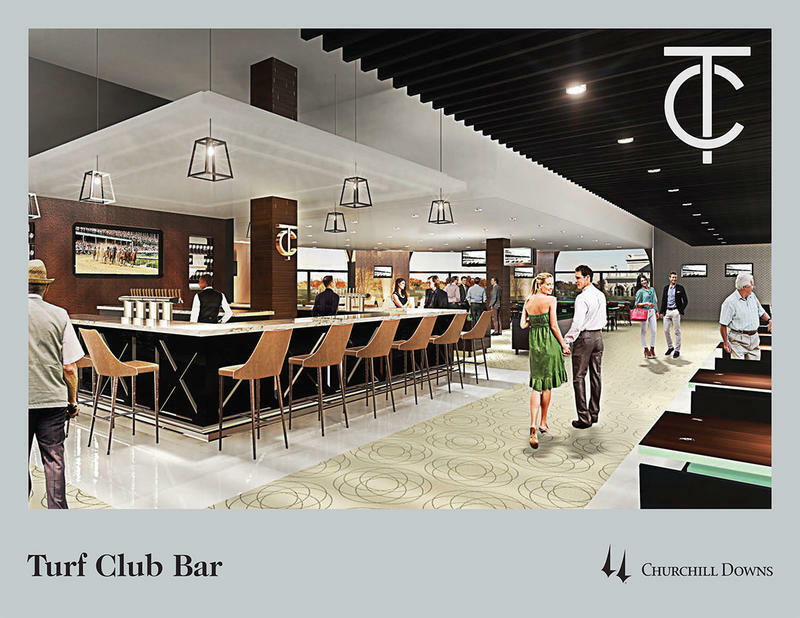 The Turf Club Boxes are situated indoors in a climate-controlled setting along the glass in front of the Turf Club Lounge. Each private box will be equipped with a tablet for expedited in-box food and beverage ordering and delivery service. The private Directors Room, currently situated on the fourth floor of the Clubhouse, will be relocated to the third floor in a newly-constructed space above the Gate 17 entrance. The 7,000-square-foot space will showcase indoor lounge areas, a canopy-covered terrace with comfortable outdoor seating, meeting space, a concierge and private elevator. The winning connections of stakes races, select guests and dignitaries are typically saluted by track officials in this venue, which is one of the most exclusive hospitality rooms at Churchill Downs. 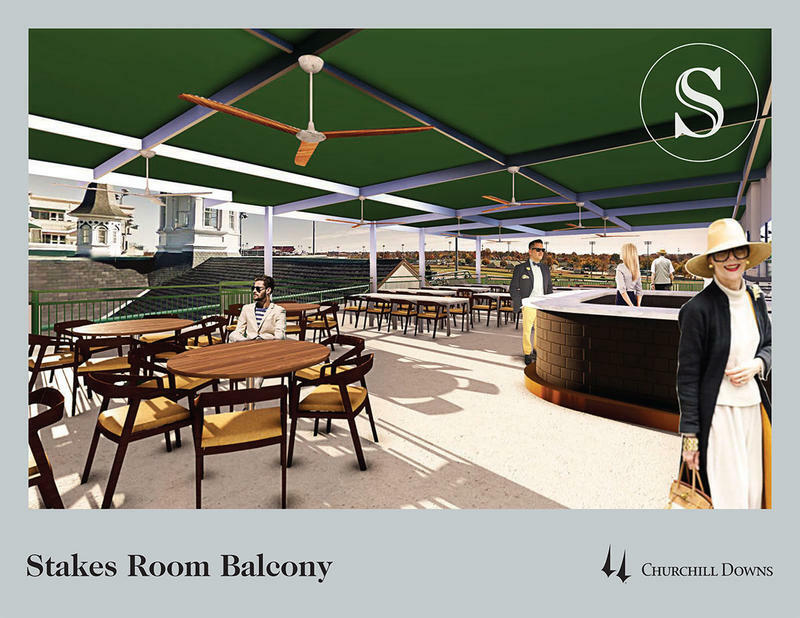 Premium seating will be added to the fourth and fifth floor balconies for terrific views of the racing and Paddock action and an up-close backdrop of the Twin Spires, the iconic symbol of Churchill Downs and the Kentucky Derby since their introduction in 1895. 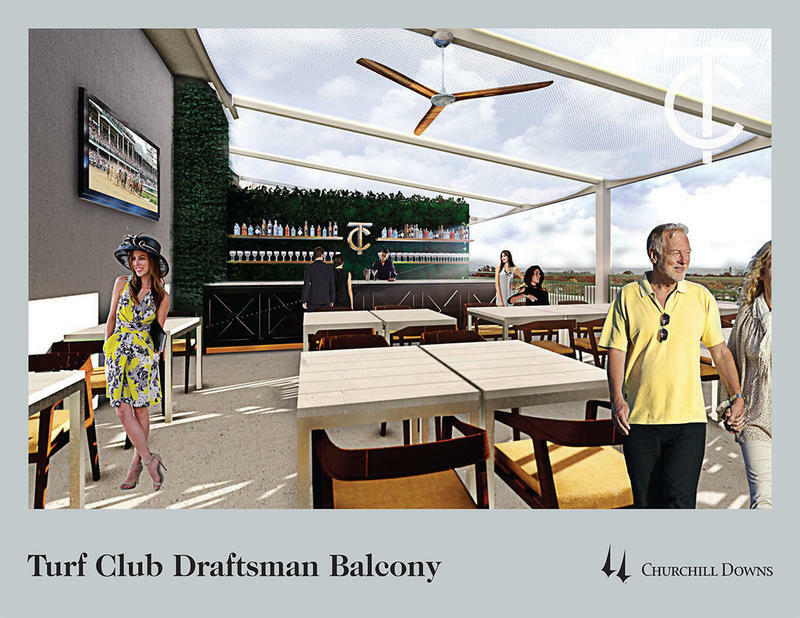 Both balconies will be covered by green canopies, provide food and beverage offerings and feature seating for approximately 140 guests that also will have access to indoor spaces for wagering and restrooms. All décor will blend the legendary past and traditions of the historic racetrack with a fresh and contemporary atmosphere. 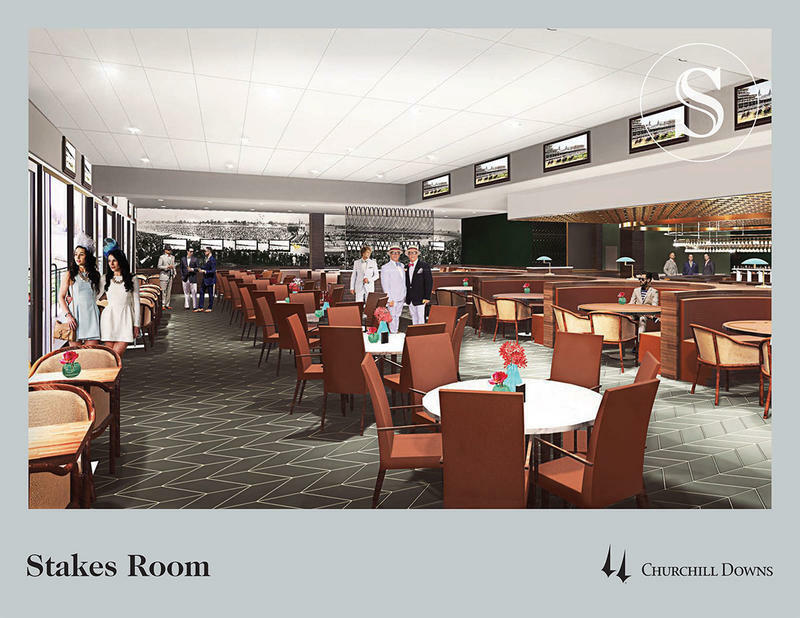 New customer-facing amenities will include upgraded food and beverage offerings; various table sizes; comfortable lounge seating; exclusive race-day entertainment; new in-seat technologies; and plenty of wagering windows for indoor and outdoor guests. 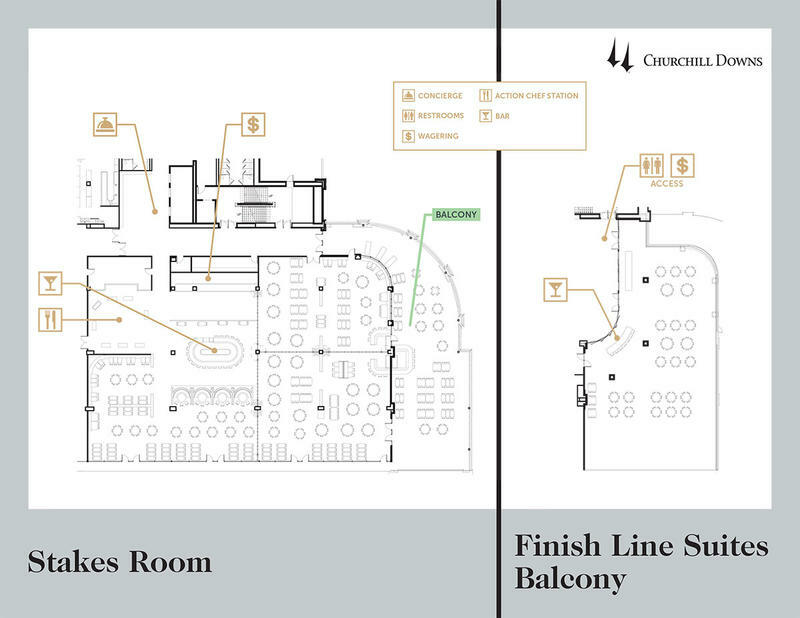 Additional service upgrades will include new and expanded kitchens, enlarged service bars and two new express elevators to expedite venue circulation and service for guests during big events. 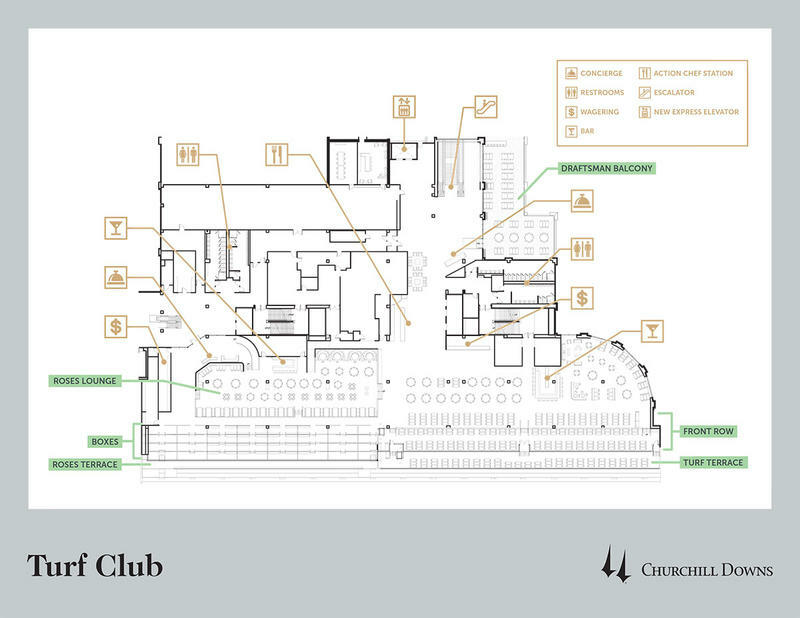 The Clubhouse Enhancements Project, which encompasses 82,000 square feet, will provide a better customer experience and an increase in premium seating capacity in those areas by 41 percent from 1,886 to 2,660. Total reserved seating for Churchill Downs on Kentucky Derby Day in 2016 will increase from 57,880 to 58,654. Interior renovations will begin immediately after the conclusion of the 21-day Fall Meet, which runs Nov. 1-29. Select demolition and outdoor balcony construction will begin in mid-September to minimize weather delays. The project is scheduled for completion in advance of the 2016 Spring Meet, which will open Saturday, April 30, 2016. The 142nd runnings of the $1 million Longines Kentucky Oaks (Grade I) and $2 million Kentucky Derby Presented by Yum! Brands (GI) are scheduled for Friday, May 6 and Saturday, May 7, 2016, respectively. The $18 million in spending is the latest in a series of recent on-going investments to improve and enhance the customer experience at Churchill Downs Racetrack, which opened in 1875 and ranks among Kentucky’s oldest businesses. Track officials have committed $69.4 million to major capital improvements on the national historical landmark over the last six years. “We remain steadfast in making these significant and vital investments to make certain that Churchill Downs, the Kentucky Derby, Kentucky Oaks and everyday racing remain major economic engines for our city, state and region,” Flanery said. The new premium seats will be offered to existing customers first. Any remaining inventory will be sold by the Premium Ticketing Department at Churchill Downs or through Derby Experience partner Quint Events. Customers may inquire about ticket packages by requesting information through www.KentuckyDerby.com or by calling the Premium Ticketing Department at (502) 636-4447. Churchill Downs, the world’s most legendary racetrack, has conducted Thoroughbred racing and presented America’s greatest race, the Kentucky Derby, continuously since 1875. Located in Louisville, the flagship racetrack of Churchill Downs Incorporated (NASDAQ: CHDN) offers year-round simulcast wagering at the historic track. Churchill Downs will conduct the 142nd running of the Kentucky Derby Presented by Yum! Brands on May 7, 2016. The track will resume its 2015 racing schedule with its September 11-27 September Meet and a Fall Meet scheduled for Nov 1-29. The track has hosted the Breeders’ Cup World Championships eight times.